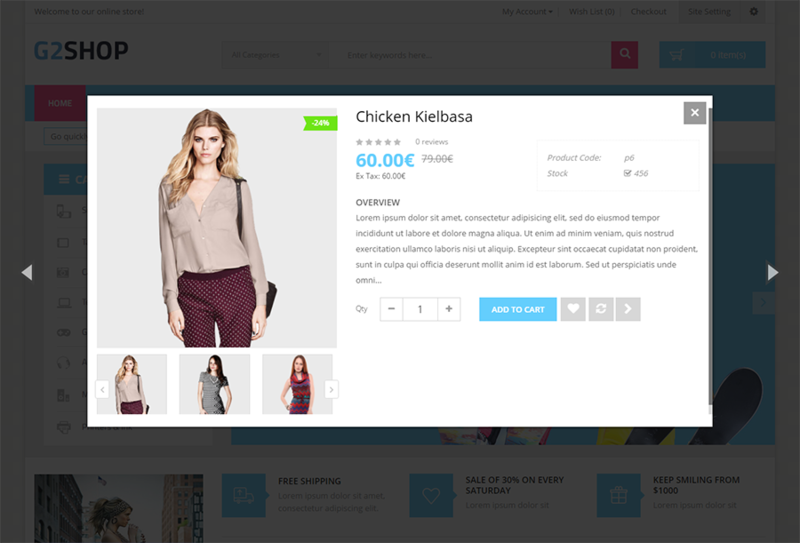 G2shop is the multi-purpose OpenCart theme for any trending Hitech store. 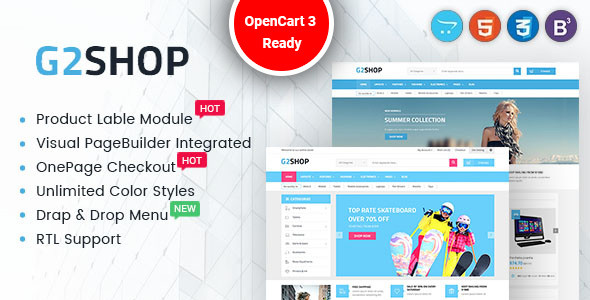 Supporting OpenCart 3 & 2.3.x, this theme has full of functioning features of a modern template for any eCommerce website. In combination with the super powerful administration panel packed with a bundle of options, you totally yourself can create a unique e-commerce website, only for you, named your own one. Now, G2shop Opencart Ecommerce theme definitely bring back to you many awesome experience by providing a lots of functional extensions such as: Mega Menu with multi-columns (sticky Menu – Fixed menu), attractive homepage slider with many smooth effects, multi-languages support, multi-color for website skins, image popup view and much more, super faster speed to enhance the customers’ experiences. The easy-to-custom Admin panel and detailed documentation will let you totally build and control your store. Never easy to build an online website as present! - fix error in the shopping cart page on mobile: click Get Quote, the popup doesn't show. - Edit the link "mproduct" into "product"